Often smokers complain that their teeth change white color to yellow. Unfortunately, this is natural result of smoking. Why this happens? It happens because tobacco smoke contains compounds of ammonia, phenol, nicotine and tar. Their action on dental enamel is irreversible and even after quitting teeth remain yellow. How to get rid of nicotine stains on teeth? Smokers should take a special care of their teeth. It is very important to never stop looking after your teeth and get rid of nicotine stains in time. This will help to reduce the effects of tobacco on teeth. Most effective way to fight nicotine stains is modern professional tooth brushing performed regularly. May be perforemed manually or with the help of a special device. Manual brushing is made with abrasors while instrumental is made with ultrasound device and AirFlow. Among these methods, AirFlow is considered most effective as it helps not only to get rid of brown stains on teeth but also make them smooth. 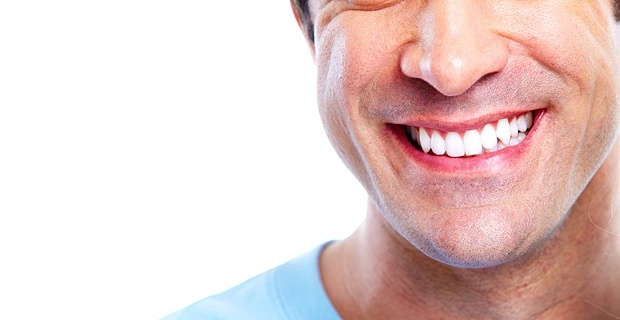 Often people do not recognize their teeth after making AirFlow, because they become beautiful, smooth and white. This method of brushing helps you to get a perfect smile. This method requires preparatory softening of tooth stone and plaque with the help of special solutions which do contain acids. Often this method is used additionally to mechanical scaling which facilitates removal of thick plaque.